OS X Yosemite Developer Preview 1 and iOS 8 Beta 1 are both now available to download for users who are registered with the respective Apple Developer Programs. Additionally, Apple has offered a beta release of Xcode 6, and online documentation for the new Swift programming language that was introduced at WWDC 2014. Though the iOS 8 beta and OS X 10.10 Dev Preview are aimed primarily at users developing solutions for the iOS and OS X platforms, technically anyone can register to be included in the Apple Developer Programs for an annual fee of $99 per OS. Due to the nature of beta releases being buggy and generally incomplete, it is generally not recommended for average users to install beta builds of software unless they have a compelling reason to do so. OS X Yosemite (officially versioned as OS X 10.10) is available now through the Mac Dev Center by logging in and choosing “OS X Yosemite Developer Preview”. If you’re more interested in reading about the developer relevant changes to OS X Yosemite, Apple has an informative “What’s New” page for developers. As usual with OS X Developer Previews, the build downloads through the Mac App Store. Developers already know this but it’s worth a reminder; always back up the Mac before installing any beta software, and only install beta software on hardware that you don’t mind being less stable. 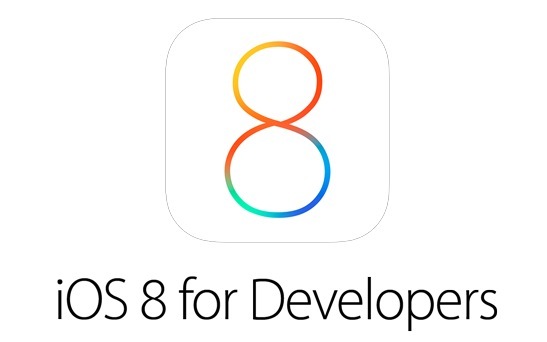 iOS 8 beta 1 is immediately available from the iOS Dev Center by logging in through a developer account. The build supports almost every device that runs iOS 7, minus the iPhone 4. Those interested can also read about new developer capabilities available in iOS 8.
iOS betas require manually installing through the usage of IPSW files within iTunes. As usual, always back up any device before installing beta software. Developers will also be interested to discover that a beta of Xcode 6 is also available with many new improvements and features. Xcode 6 beta build is also available to download from the developer center directly or alongside the iOS 8 betas and OS X Yosemite Developer Previews. Also of interest to developers is the new Swift programming language that was debuted at WWDC 2014. Applying to both OS X and iOS, developers and those interested can review the Swift documentation at the Developer Library online, or download Swift documents through iBooks. For non-developers, patience is required, as OS X Yosemite is set to launch in autumn along with the fall release of iOS 8. In the meantime, casual Mac users can check out some screenshots of OS X Yosemite to get an idea of what to expect, and those who want to rewatch the WWDC 2014 presentation can do so now through Apple.com (note the Safari web browser is required for the stream to function properly). Anyone can download iOS 8 beta by registering their deets with another registered developer, some will add you for free, others charge a couple bucks. Or you can pay the $99 which is crazy unless you’re an actual developer as in writing apps for a living. I would not recommend it, but, worth sharing. But word of advice: iOS 8 beta is VERY buggy right now, it makes no sense for anyone to install unless you’re building or updating an app for it. I would advise against downloading iOS 8 at the moment. Only do that if you have a spare iDevice laying around. I have heard from many sources that iOS 8 is very buggy and unfinished. OSX 10.10 on the other hand, works very good for a developer preview. Everybody is talking about their nightmares but I haven’t seen one problem (other than my Boot Camp partition not being available. This problem is solved and now I have 5 choices when booting up) Yosemite is growing on me and I am getting used to the new dock, even if I don’t completely like it. If you do want to download Yosemite, make either a new partition or install it on a second HDD. I have only the iOS developer subscription. Yesterday as I logged in dev center I could see the OSx 10.10 code generation link. Everything was smooth and with the generated code I went to App Store and downloaded the OSx beta as well. Am I missing something?! With an iOS dev account it is possible to download OSx beta as well?! Yes the first Developer Release is very buggy, but that’s why it’s a beta. Hopefully DP2 will be a huge improvement. Has anyone managed to get phone working with 10.10? Tried to use bluetooth, different wi-fi setups, but wasn’t able to get recent documents or mails between OS X 10 and iOS 8, also phone calls are not showing up on mac. Bug or am I missing something? Theres a setting in System Preferences that you can change I think it was in iCloud or something.